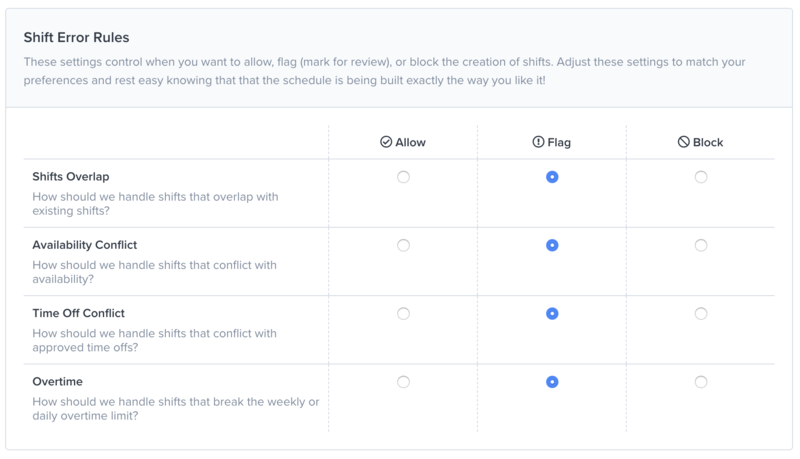 Shift conflicts can be caused by incorrect position or location assignments, overlapping shifts, availability preferences, time off conflicts, and daily or weekly overtime. 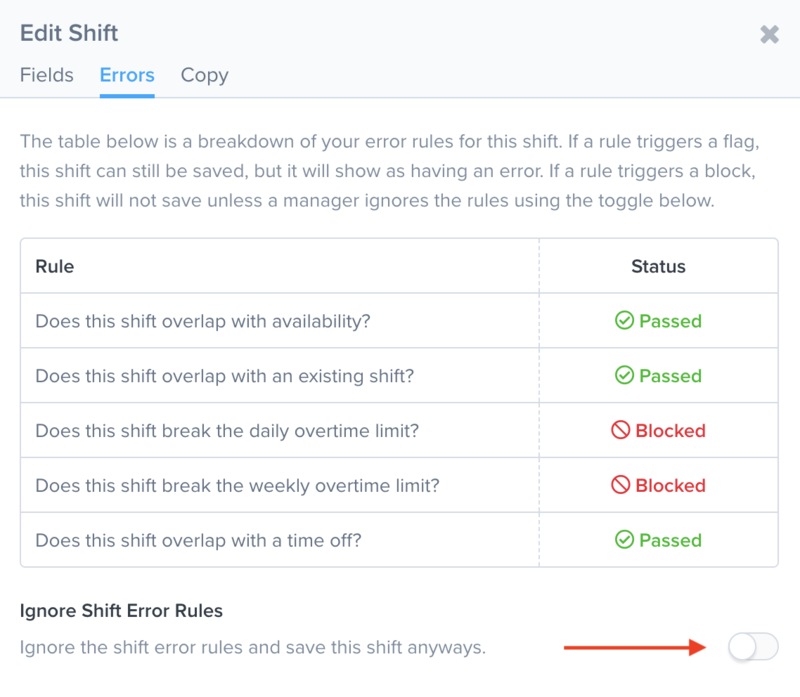 You can adjust how shift conflicts are handled in ZoomShift from the Settings=> Schedule Settings => Shift Error Rules page. You should see a form like the one below. If you flag shift conflicts, you will see a red icon on the shift indicating the conflict. If you block shift conflicts, you will see an error message when trying to save a shift under the Errors tab. You can override the shift error rules by toggling the Ignore Shift Error Rules option.